Dr. Jordan Tama specializes in the politics, processes, and institutions of U.S. foreign and national security policy making. His research has investigated presidential-congressional relations, foreign policy bipartisanship, national security strategic planning, the politics associated with economic sanctions, and the value of independent commissions. 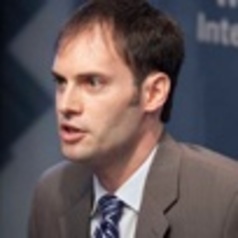 He has published three books: Rivals for Power: Presidential-Congressional Relations (co-edited with James A. Thurber); Terrorism and National Security Reform: How Commissions Can Drive Change During Crises; and A Creative Tension: The Foreign Policy Roles of the President and Congress (co-authored with Lee H. Hamilton). He is currently working on a book entitled Bipartisanship in a Polarized Age: When Democrats and Republicans Cooperate on U.S. Foreign Policy.